Before I begin this post, I need to knock very hard on a piece of wood. I haven't had any major injuries in over four years, so this is me officially knocking on wood that I am not jinxing myself by writing about this topic. Of course my immune system is a different story, as I have suffered from mono-like viruses twice in the past five years. I also was knocked out by a virus for over 4 weeks in the summer of 2008. But the musculoskeletal system has held up pretty well. I am not a physical therapist, doctor, or running coach. But over the past four years, I've found the following recovery tools to be helpful in preventing injuries. I believe that sleep is the #1 factor in recovering from training runs. Without enough of it (or without high quality sleep) your body doesn't have the opportunity to recover from hard workouts, so you end up feeling fatigued when you do your next workout. And the cumulative effects of this can cause injury. Not coincidentally, I stopped getting injured at the precise time that I had my mental breakthrough in sports psychology. Prior to the summer of 2013, I suffered from insomnia. It was difficult for me to sleep straight through the night and my sleep was not restful. I would wake up in the middle of the night and my mind would race with all kinds of random thoughts. So despite my best efforts of falling asleep early and allowing 8+ hours of sleep time, I rarely got a truly restful night of sleep. That all changed once I learned to have a more relaxed mindset. None of the remaining items on this list compare to the importance of sleep, as I believe sleep is the foundation of staying healthy. When I'm training for a marathon, I typically get a professional massage once every 2-3 weeks, for 75 minutes at a time. I'll go once a month if my training load is lighter. Yes, this is expensive, but it's cheaper than having to go to physical therapy for an injury and it's also enjoyable. My massage therapist is excellent at helping the muscles relax without inducing pain. So not only do my muscles enjoy it, but it's a great way to wind down from a busy week of running, going to work, and doing lots of other things. 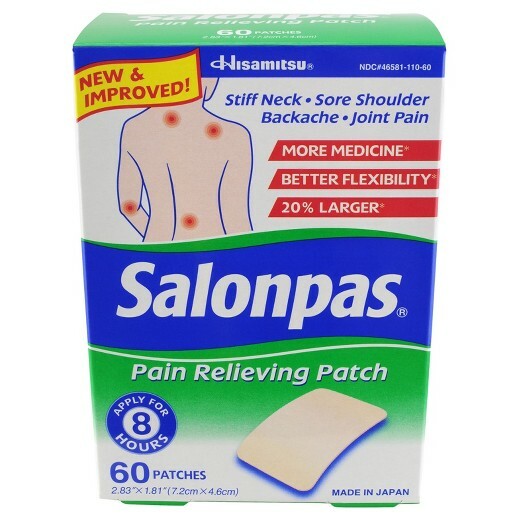 Whenever something starts to ache or feels particularly tight, I apply a Salonpas patch. I absolutely LOVE these things. They're basically small rectangular patches that stick to you and stimulate blood flow to the area. I've been using them for about ten years and I truly believe they help in recovery. Greg was skeptical at first and thought that they were just designed to make the area feel good, but I think I've converted him into being a believer as well. I particularly like sleeping with them as I find them to be relaxing. I sometimes wear them to work, even though other people can smell the chemicals in the patches. I have a weak sense of smell so I never smell them on me. Over the past six weeks I've been experiencing some tenderness and stiffness in my Achilles tendons. On the nights when I sleep with the patches on, the tendons feel great in the morning. Just saying! They're also great post marathon, and I think I was wearing up to four at a time after Boston last year. After my hard workouts, I typically drink a Naked smoothie boosted with protein. I love these drinks because they don't take any time to make-- I just grab one out of the refrigerator post run. One smoothie has 420 calories and 30 grams of protein so it's an easy way to replenish the calories and give my muscles the protein they need to recover. I've noticed, however, that they are becoming more and more scarce at the grocery store so I wonder if they will soon be discontinued. They have already stopped making the "green" flavor, which is a shame. Another quick post-run snack is cottage cheese, which is protein-packed and also takes no work to prepare. In the mornings, I am all about convenience. No recovery post would be complete without mentioning the foam roller. I primarily use this on my quads, hips and IT bands. I use it regularly so usually it's not painful. However, if I am recovering from a particularly hard race or workout, then I've been known to scream while foam rolling. If I wake up and my muscles feel tight, I will foam roll before running. Usually I foam roll for about 3-4 minutes at a time, which I think is shorter than what most people do. But I don't seem to need any more than that. In additional to using all of these recovery tools, I also do preventative hip strengthening exercises and calf strengthening exercises. In the past, I have struggled with an achy hip when the mileage increases above 55 miles per week. But doing the hip exercises three times a week has left me pain-free for years now. My left hip is the trouble maker, and it can flare up if I make too many left turns. This is why I run on the track "backwards" or clockwise. I'll finish off with a quick training update. After the race last Sunday, I made up for the missed long run by running 14 miles easy on Tuesday of this week. My legs felt surprisingly good for having raced a 5K on Sunday, and I was able to pick up the pace a bit during the last three miles. On Wednesday, I ran easy for 60 minutes. 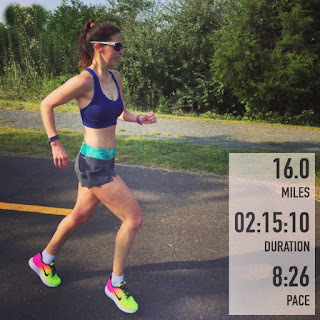 On Thursday, I did a hill workout that I had never done before: 3 x 10 minutes of continuous hills at 10K effort. I ran up a hill that was about 40 feet in elevation gain over the course of 75 seconds at 10K effort, and then ran back down the hill at a slightly faster pace to keep the heart rate up. I did this for 10 minutes at a time, with 3-minute recovery jogs in between. Each segment was long enough for almost four full ascents. Friday was another easy 60 minutes and Saturday was my first "longer" run of the cycle at 16 miles. Greg and I drove to the W&OD trail and ran together. 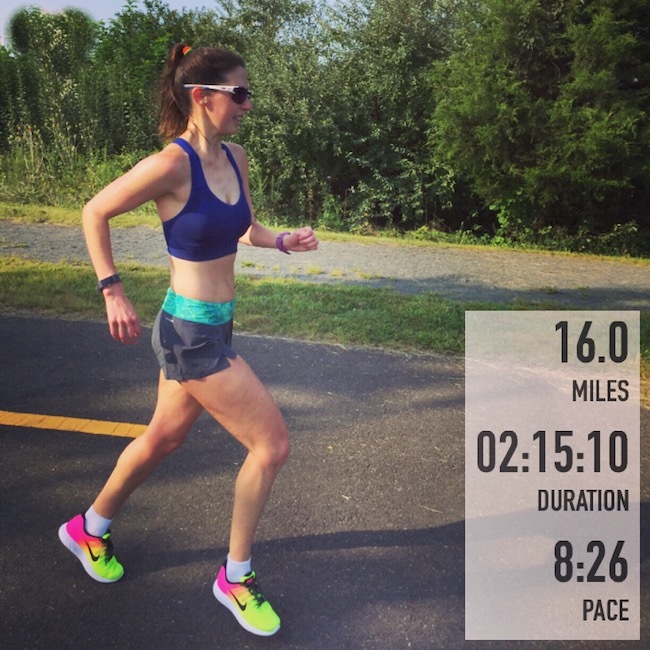 We were treated with low-humidity and temperatures in the low 60's, so the run felt amazing. 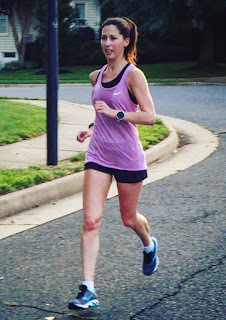 The W&OD trail (paved trail) is a hillier route than my normal neighborhood running options, so it was a confidence booster to run strong on it. The Indianapolis Monumental Marathon is in 10 weeks, and I feel like I have a solid foundation for a strong training cycle. Finally, as I mentioned in a previous post, I was interviewed for Coach Jenny's podcast while I was on the Great Alaskan Running Cruise. You can listen here. 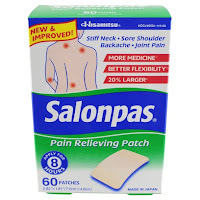 I love Salonpas patches. I didn't even know they existed until after I was diagnosed with RA but they've been a lifesaver. Sounds like we are both on the same page when it comes to recovery. I do love sleeping and getting sports massages, and I also have some of those salonpas patches (I don't always use them, though, and have lately been opting for arnica gel). Protein smoothies are great too, but I usually make my own with the Quest powder- I even have a protein frappucino recipe that I love. Really glad that you have found routines that keep you injury-free with running all the miles you do, too. Recovery an important aspect of running and racing! Good to consider the subject routinely even if you an experienced runner or coach. Foam rollers a great tool and those High-Density foam can be useful at times. Of course other tools like the "Stick," "Tiger-Stick," "Go-Moji" (incl palm roller) are all very useful at working out tightness or soreness in various muscles of legs. Heard great things about those fancy compression boots or sleeves that fit around both legs and some models include the hips and apply compression. I see runners trying them at some of the marathon expos, but always too long a wait to give it a test. But I have at least 2 runner friends have invested in them and swear to their effectiveness. You forgot to add "soaking" in either warm or cold water as recovery therapy. Cold water for acute injury...warm or hot for chronic conditions. And soaking more effective if you add epsom salts. I have good success using "Dr Teal's" epsom salts of various versions infused with eucalyptus, menthol, lavender, etc. And they have bath oil versions too! I use both of them and get very good results feeling better when done....resorting to this therapy mostly after the really long LR's and/or the marathon race. Great list. I will have to check out those Salonpas patches!!!!!!!!!!!!! And I might have to get more regular massages. I did that while marathon training and it was fantastic. I FULLY agree about sleep being number one. Your body does so much healing when you're asleep. So much more benefit than pulling yourself out of bed for a run if you're feeling niggly. Great list of tips - I agree with them all.